When it comes to SEO, everyone seems confused. It doesn’t help that the rules seem to change every year, and the information and best practices you finally got a hold on become obsolete quickly. Especially in the beginning, when SEO takes the longest to really kick in, you could spend a fortune on paid search ads, longing for that lovely organic traffic to pick up. But with keyword research, bidding strategy, and budgeting for AdWords is definitely not simple. Luckily, getting great search ads doesn’t have to be complicated- Google offers ads driven by a machine learning algorithm that pulls the best keywords from your site and data on the customers that commonly search for products like yours. Dynamic Search Ads are relatively simple to use once you know what you’re doing, and they can leverage the SEO you already have to grab an edge on your competition. Because what DSA offers is far too valuable to neglect, especially for your online store. DSA is an ad campaign that you put into place that automatically optimizes your paid search ads based on Google’s SEO index. You basically feed AdWords with the pages of your site that you want to show ads for. Then Google uses its SEO index to decide on the best keywords, landing pages, and ad titles that are pulled and optimized directly from your site. Can I trust Google’s algorithm to create my ads for me? Because there’s a lack of understanding, many people might be hesitant to let Google manage their ads for them. How can you know that Google isn’t just going to take your ad budget and run with it? The short and simple answer is that there’s no reason for Google to do that. The fact is, Google has every interest in making your ads as great as they can possibly be, and to only show them when they’ll be relevant to the user’s search. Think about it- would we ever use Google search if it didn’t show us relevant topics? When a user expresses a need, problem, or question, Google wants to get the user to the best answer as soon as possible. In doing this, Google rewards the most relevant ads for this question with a lower cost-per-click for the top position. Besides, it has an interest in making sure your campaigns are successful. If you’re successful, you’ll get more clicks, meaning you’ll spend more money. If those clicks lead to sales and you make more money, you’ll be more likely to continue using Google ads because the campaigns are profitable to you. This makes your success profitable to Google. But can Google really do a better job than me or my marketing professional? Google is equipped with an unfair advantage: its algorithm has information that you don’t have. It knows what your customers search for, it understands how these searches function, and it understands what your competitors are ranking for. It has the ultimate keyword strategy because it knows all the keywords. Here we can see a successful DSA campaign. AdWords will show you were you rank in comparison with your competitors for the top keywords and search queries, and you can see that the distribution between devices is very even. Letting the algorithm do the work for you means that you’ll get the best possible CPC and the best cost per conversion. This step is important- not taking the time to set up your account properly will doom your campaign from the start. Take the time and do this right so that you give yourself the best chances for success. Using Google Sheets or Excel, give Google the pages that you want to pull ads from (so your product, category, and merchandise pages). Using Cost per Acquisition or Return on Ad Spend is the best way to make sure your campaigns are profitable. Don't use anything else for your bidding strategy. Google needs to know how much you’re making on each sale. It needs to know when you’ve sold and how much you’ve made from that sale in order to adjust your ads for maximum profitability. Once Google’s algorithm has this information, it can calculate backwards and figure out the maximum profit probability based on any given ad impression. Using conversion tracking helps AdWords understand the real value of each sale, especially when you’re selling several products and several different profit margins. You need to be able to track the profits on each sale and feed that into Google so it can optimize your ad spend. From that point, set your CPA/ROAS to the percentage of the profit margin that you would earn per each product that you sell. Extensions are additional pieces of information you can use to expand your ad. These can be anything from locations, callouts, site links, reviews, etc. These bits of information show up with your ads and make them stand out from the others. As with anything, more information means that the clicks that you get (and pay for) will be of higher quality as the customer is even better informed about your products and your offers. The more extensions you ad for your AdWords DSA campaigns, the more you give Google to play around with and test as it optimizes your ads. Don't forget to set your country and language to the correct regions. There is no point in showing ads to countries or regions that you don’t ship to. Even if you do operate worldwide, it’s advisable to exclude countries that won’t be profitable for you. Otherwise, it’s a leak of money that’s not necessary. Even then, if you do get this part wrong, DSA can actually correct this as it knows and understands what language your pages are in. It’s an important step, but just don’t overdo it. You don’t want to accidentally remove a keyword that might make you a sale. Do the obvious ones when you’re setting up, and then go from there once your ads start performing. There will be time to remove negative keywords later, when you’ll start getting ads for the wrong words. Using this to find your negative keywords will help you optimize the copy on your site for better SEO all around. While DSA is a great tool for creating ads that will work for your online store, it’s important to have realistic expectations about what you will see over the first 6 months of your campaign. Don’t assume that you’ll make a fortune 30 days in, because that’s not what’s going to happen. During the first month of your campaign, you should consider this a learning period for Google. The first month will be at a loss for you. Set a CPA higher than the one you want long term, so that your return on ad spend is lower. You want to be able to give Google the tools it needs to figure out what’s best for your ecommerce store. However, this loss doesn’t come without its benefits. You can use this as a key data collection exercise and market research for your online store (which is a good deal cheaper than what it would cost you with an agency). What’s more, if you do end up needing an SEO audit, you could give this data to an SEO professional and they would be able to easily optimize your store. At this point, you can adjust your CPA and ROAS so that they’re profitable for your site. Now that Google has a lot of information on what works for your site, they’ll only show the ads that have the highest probability of being profitable for you. If you only have a few ads, and not many sales- stop DSA. It’s time to do an SEO audit and get a consultant to work on your site before trying DSA again. You should expect about 6 months of work before trying it again. During the 2-6 month period, your DSA campaigns should be earning you a significant amount of money. CPA should fall (with ROAS rising) steadily as Google gets a better understanding of user behavior on your site compared to the competition. There are a few major strategies you can use to optimize the SEO on your site, and thus, your DSA campaigns as the two are interdependent. For example, the top three things that you should optimize for your site are the meta title, the meta description, and the H1 titles on your site. These three bits of information tell Google what each of your pages is about and what a customer might expect to find there. This is how Google will be able to tell what your main keywords are and which are the right landing pages for your customers. Copy is important, but for DSA it doesn’t matter all that much just yet. As the algorithm goes, this will not be the case as it will rely on more and more information from your site to make sure it’s showing the most relevant searches. HTML tags are used to tell the browser how content should be viewed on the page. Semantic HTML5 defines specific tags that indicate what type of content the tags contain and what role they play on the page. This information helps search engines crawl your page and understand which bits of content are the most important. Looking at your semantic structural HTML5 is a great way to optimize the SEO on your site by explicitly letting Google know which content is the most vital to the page. For more information on optimizing this, check out Jason Barnard’s article on SEM Rush. Schema.org is an effort to standardize data on the internet. By applying this standardized markup, search engines are able to easier determine key data points about your site and products, like price, SKUs, dimensions, reviews, offers, material, etc. For more information on how to apply this to your store, check out schema.org for products and offers. The best advice? Keep it simple. It’s better to be simple and correct than complex and confusing. Start with simple and correct, and flesh it out as you go with more details. The more details you add in your schema markup, the more information you give Google to work with. This also helps when optimizing for long tail keywords, where you have very profitable searches. Those who are searching for something very specific, the more likely they are to convert when they find it. Google now measures user experience when deciding whether or not to include your site in the relevant search results. It measures user behavior on your site, bounce rate, pogo sticking (when a user bounces from your page and goes directly to the competitor, and even worse, purchasing), dwell time, page views, etc. You want to make sure that your UX is as good as it possibly can be. If your site is better than your competitor’s, and you succeed in solving the problem a customer has, Google will notice that. Google will want to send customers to you because it’s confident that you have the best solution to the customer’s problem. The key to remember is that everything in AdWords is relative. If you have competitors that are weaker, it won’t be difficult to knock them out of the first spot. However, if you have competitors that are working hard, you will need to work twice as hard. Tracking and measuring your campaigns is critical, you want to be sure that these channels are working well for your online store. For AdWords, there are two different aspects that you can consider- tracking on the front end (in AdWords for your campaign), and in the back end (or on your site). On the front end, you have basic analytics to track the progress of your campaigns. You can see how much you’ve spent, what your average cost per conversion is, your average position, and your search impressions. However, and especially for ecommerce, it’s important to see how these channels measure up against other paid and non paid channels. 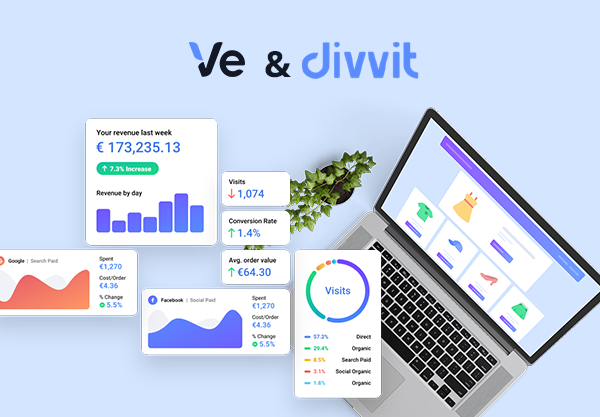 In the Divvit app, you can track your costs directly and compare them against a previous time period. Here, you can toggle your channels from highest to lowest cost per order, the amount of change or the percentage of change over the previous time period. However, the key to understanding how well this campaign measures up is creating a marketing cost report for your ecommerce and analyzing how your channels are performing. What’s interesting is filtering in Divvit by Google by clicking the small button slider next to your channel and showing only Google Channels. This way, you can see how your DSA campaigns are measuring up against your organic Google campaigns and see where you need to optimize. 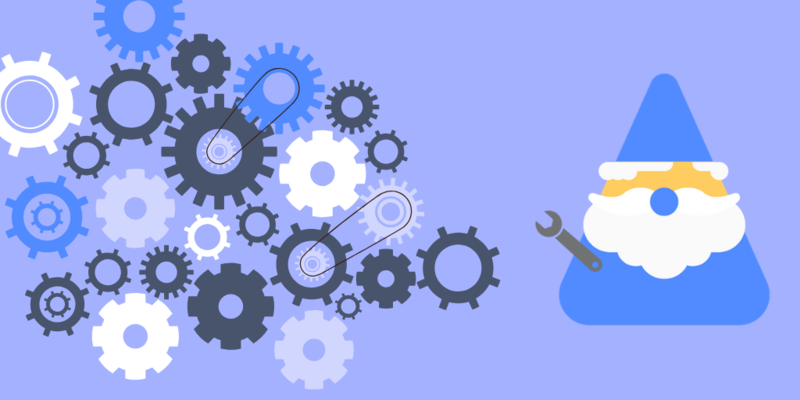 The two are heavily reliant on each other, so performing a customer behavior report can also really help in determining if there are UX issues that are preventing Google from showing your ads and organic search results. As your campaigns go, it’s important to optimize your SEO which in turn, optimizes your DSA campaigns. Every week, in AdWords, check the ads that Google is creating for you. Download the sheet and put it into Excel or Google Sheets for easy sorting. Group the sheet by pages and look and the headings, keywords and pages. 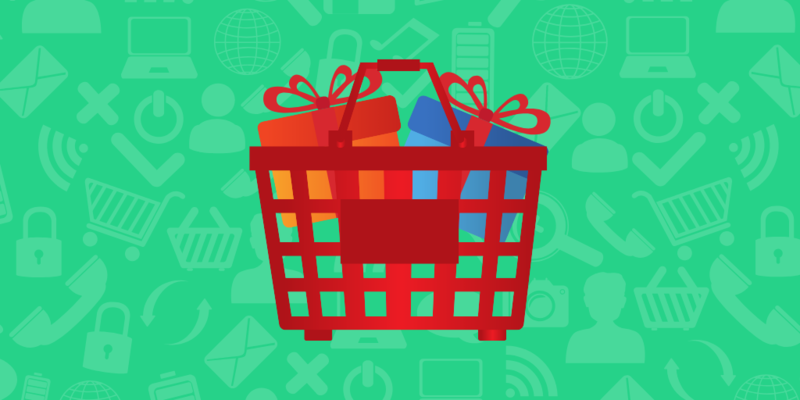 Try to see if the keywords and ads are relevant for your online store. Try to do this page by page and see if there’s anything that needs correcting. Ultimately, as you run your DSA campaigns, there are 4 things you need to perfect, not only to optimize your campaigns, but also your SEO, thus killing two birds with one stone. Remember, if Google is showing bad titles, it’s because you wrote them. Google doesn’t make anything up, it doesn’t invent new text. It goes on to your site and uses your text. So the first things that it looks at are your meta title, meta description, and your H1s. So if it’s showing a bad headline, go back in and write a good one. Tweak your meta titles and descriptions and your H1 titles. Give it the words, the right headlines that will make people come to your site. If Google is making the wrong landing page choices, or if it’s showing an inappropriate page for a search, the solution is the same. It’s time to change your metas and H1s. This is often the result of too many pages having similar titles and meta descriptions. Make sure that your pages are clear, and having too many similar pages means that Google can’t tell them apart easily. Adding schema markup is also a good way to differentiate your pages, as it’s a standardized way to give explicit and clear information about each page and that page’s content to Google. This allows you to be very detailed in the offer that you have on any given page, down to clothing size, color, or any other information you want to give about your product. If you do this, the landing pages that Google chooses for search results will almost always be perfect. If Google is choosing inappropriate keywords, it has misunderstood. Ask yourself, why? Google hasn’t understood the content on your site- but this isn’t a problem with Google, it’s a problem with the content on your site. It’s time to look at the content on your page. Your page is giving Google the inappropriate keywords, and it’s time to either remove them from your page content or add them to your negative keywords. Because if this is a problem in your DSA, it’s also a problem in your organic SEO. There is absolutely no point in ranking for a keyword that you can’t help a user with. Long term, this is a huge aspect to optimize and perfect. Because once everything else is sorted out, your meta descriptions, headlines, keywords, and markup, the one thing that’s left to do is to make your user experience as good as it possibly can be. Page speed: the faster the better. Google rewards super quick pages, and with Mobile First rolling out, it’s important that your site be as mobile-friendly as possible too. Design: your design should be logical, with a navigation that makes it easy for both humans and robots to find what they’re looking for. The more you improve all of these aspects, the more you’ll be able to make. And this is not just from organic SEO and paid DSA, but also in terms of conversion from other channels as your site will be a well-oiled machine for bringing customers all the way through your sales funnel. One of the biggest ways you can get an edge over your competition is through a superior UX throughout your site. What’s beautiful about this is that we fall into an optimization loop where improving SEO improves DSA and vice versa. Adding UX optimization into the mix just boosts your efforts in your campaigns and SEO. The information in your DSA campaigns helps you optimize your SEO, while optimizing your SEO improves both channels. If you set DSA up properly, your campaigns will be profitable day in and day out. It won't be a matter of how much can you spend, but more of how much can Google spend for you while still making you money. The quality of your site will make the difference in the long term. The quality of your SEO is what will make the difference in the short term. Article written based on our April 12th webinar with Jason Barnard, SEO expert.